Like Chuck E. Cheese with beer (and minus the terrifying animatronics), this massive arcade chain becomes an adults-only playground every night. 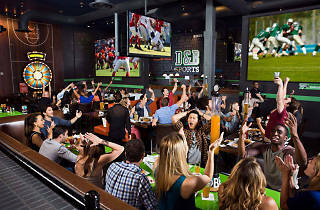 You'll find beer, cocktails and bar food, along with billiards and shuffleboard for analog entertainment. But most of the activity is centered around arcade cabinets, chance games and ride-like experiences tied into video game, movie and iPhone franchises—in other words, expect to keep recharging that Power Card throughout the night. 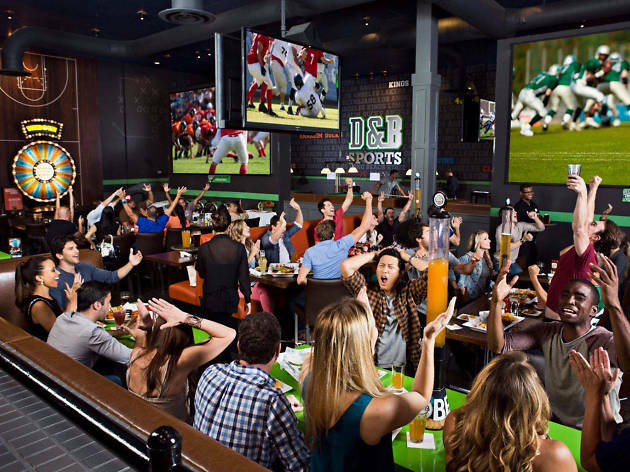 D&B was once limited to the 'burbs, but this spot at the Promenade at Howard Hughes Center marks the first LA location; the chain has also opened a Hollywood location.